We are currently an online store, specialized in the elaboration of diaper cakes and therapeutic cushions, but our history goes back several years. Flors i Detalls CASA NATALIA opened its doors in 2003, launching a family business project, where each product was handcrafted. Our house was much more than a florist's shop. 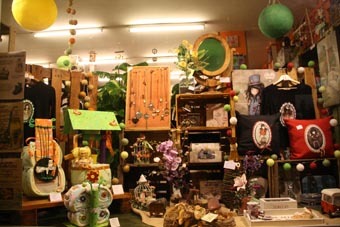 We had gift and decoration items, handmade vintage jewelery, minerals, gifts Gorjuss-Santoro, natural perfumery, Moroccan cosmetics, candles, incense, and even a corner Zen and esoteric. In addition, we made all kinds of floral compositions, both natural and artificial flower, special assemblies on festivities, flower cakes, original and fun bouquets, bridal bouquets and all kinds of arrangements for weddings. 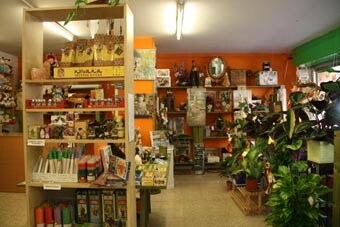 Indoor and outdoor plants, gardening and horticulture. Now, and continuing with the artisan work that we like so much, we put at your disposal our designs of diaper cakes, therapeutic cushions of seeds and aromatic herbs, colored ball lights and Thai handicrafts, vintage jewelery and Gorjuss. All our items are handmade. In addition, we have an Oulet section, where you can find some products in liquidation, at incredible prices.